Fizzbanger Bath Ballistic - trying something new, this is meant to be apple scented and have some glitters. My faves are geo fizz and butter ball. 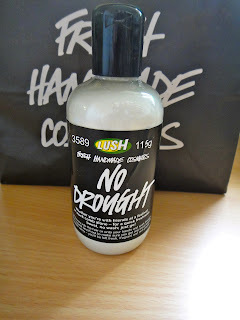 No Drought - the powdered dry shampoo I actually came in for! 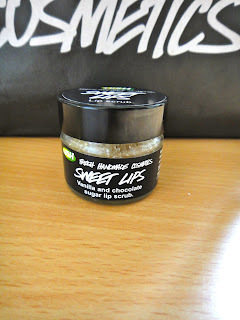 Sweet Lips - I've been dying to try this vanilla and chocolate lip scrub for ages. It tastes great and is easier than making it myself. 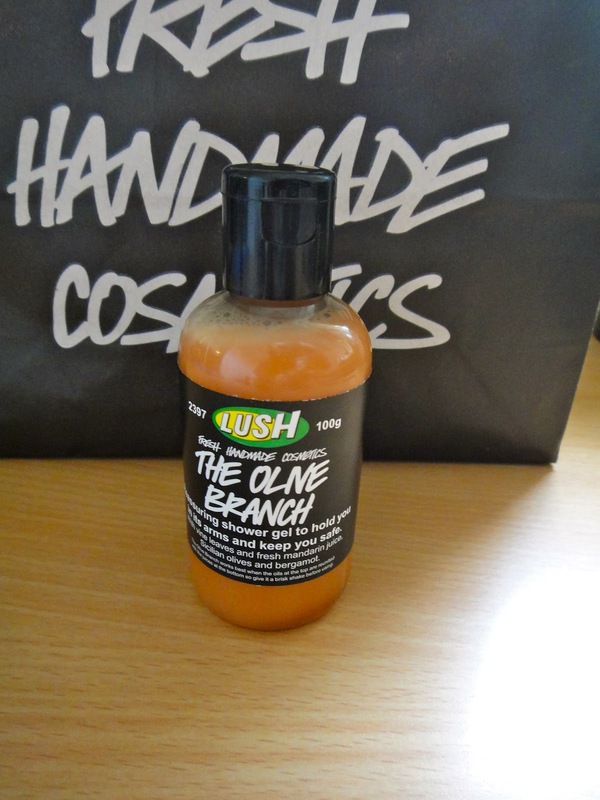 The Olive Branch - this shower gel smells lovely and fresh and is meant to be soothing for dry skin. 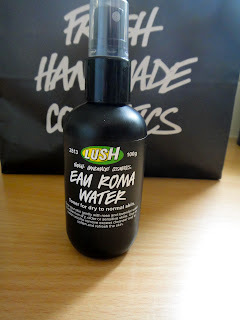 Another one to pop into my travel bag! 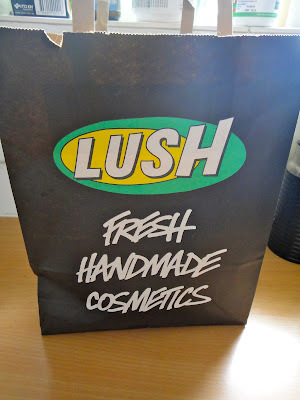 What's your favorite LUSH product? Let me know so maybe it will accidentally fall into my basket next time. I had a look online and they're out of stock.. maybe they're all gone. Sounds delicious! Nice haul! 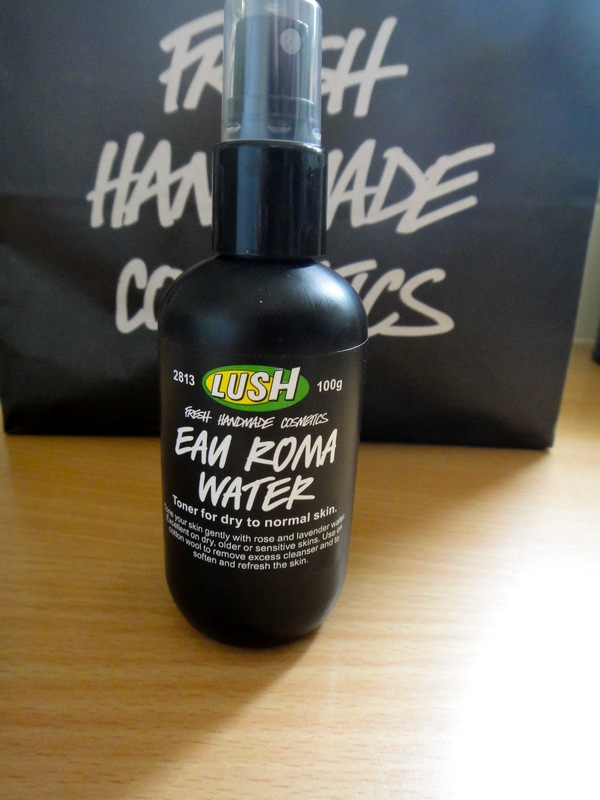 The Eau Roma water is one of my travelling must-haves, it's fantastic. My favourite Lush products are the Dragons Egg and Butterball ballistics, the Turkish Delight smoothie and the Snow Fairy shower gel. I've never tried the smoothies before. 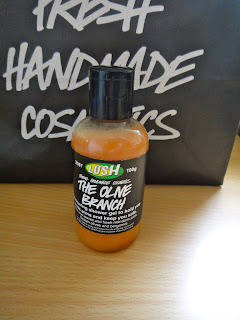 I've got a sample of Ro's Argan Body Conditioner and I'm loving that. Sweet lips sounds yummy!! I might have to go and check this one out :) nice haul!